Hi, there! I know you have a lot of fun planned for the weekend! I wanted to share this great picture for Halloween safety! It can be found on this website. Happy Halloween!!! I thought I'd pop in today and share a few things that we love to do this time of year! One thing I love to make, but can't stand in real life is spider art! Every year, my students have made this fun craftivity to go along with learning about spiders. These are seriously one of the easiest prepped headbands, and what kindergarten teacher (and student) doesn't love a good hat or headband?! 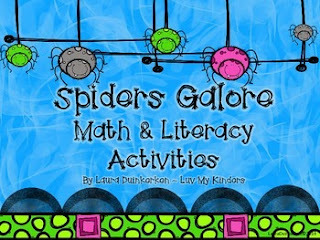 This year, I have also had the advantage of using some fun spider units from my girl, Laura, from Luv My Kinders! My students are in love with this unit, and have already asked if they "get" to do spider "stuff" tomorrow! YES! I love when students go home excited for the next day!! Hello, friends! 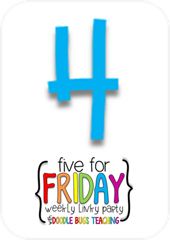 I am once again teaming up with Doodle Bugs Teaching for Five for Friday! Learning about pumpkins is so much fun this time of year! To read more about some of my favorite books. 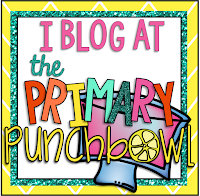 please feel free to visit my post on our collaborative blog, The Primary Punchbowl. I was excited to share for the first time, and have had fun reading the other posts since our launch last week!! I had a nice, relaxing night in on Wednesday. Just what I needed! Any of you needing a bit of rest during this crazy, no-break, month? When this email came in on Wednesday afternoon, I just about screamed. Yes, I KNOW it is going to be expensive to fly from California, but I NEED to go to TPT Orlando 2016. It might just be fate, since I have been planning to go to Orlando in the next two years anyway!! Hope to see you all there! Some of my favorite lessons in math involve shapes! We have started our flat shape unit, and the kids are explaining their reasoning like ROCK STARS! We explored rectangles today, and triangles yesterday. 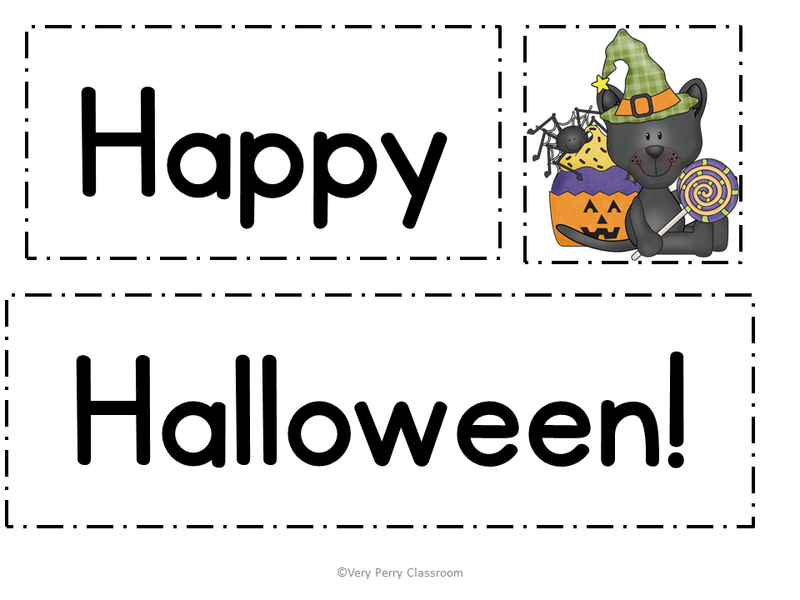 I like teaching about shapes around Halloween, because there are so many activities to integrate into my lessons! We are completing so many fun activities this month, and this one is almost done! The bottom of the left side will say "G is for ghost." and the ghost will have details added. 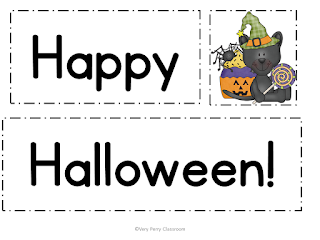 We are having a lot of fun making scary things into silly things, so students are feeling very confident these days! Just wait 'till you see what we do for Halloween next week. I can't wait to show you! How about you? What have you been up to this week?? Hello, friends! 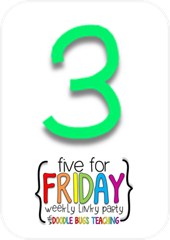 Once again, I'm linking up with Doodle Bugs Teaching for Five For Friday! This week was a crazy one, and most of it wasn't school related!! 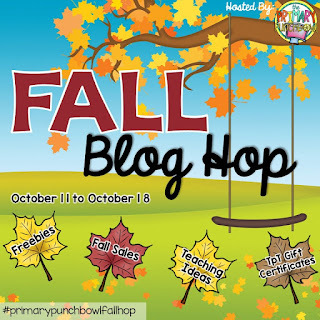 ALSO, to kick off our new Collaborative blog, The Primary Punchbowl, my girls and I have been hosting a freebie blog hop, and are giving away GORGEOUS Kendra Scott earrings, a teacher basket, and TPT gift cards (there's one at EVERY blog)!!! Hurry on over, if you haven't yet! 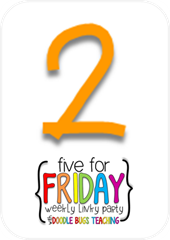 You have 2 more days!! My Secret Pal lifted my day also with some pretty fall colored flowers!! I hope you have a great weekend! 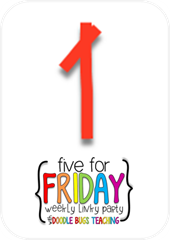 I will be back with more SCHOOL related posts this week about morning messages, and will be doing my first post for The Primary Punchbowl this week!! Stay tuned for my list of Pumpkin book favorites, AND ELA activities to go along with them! 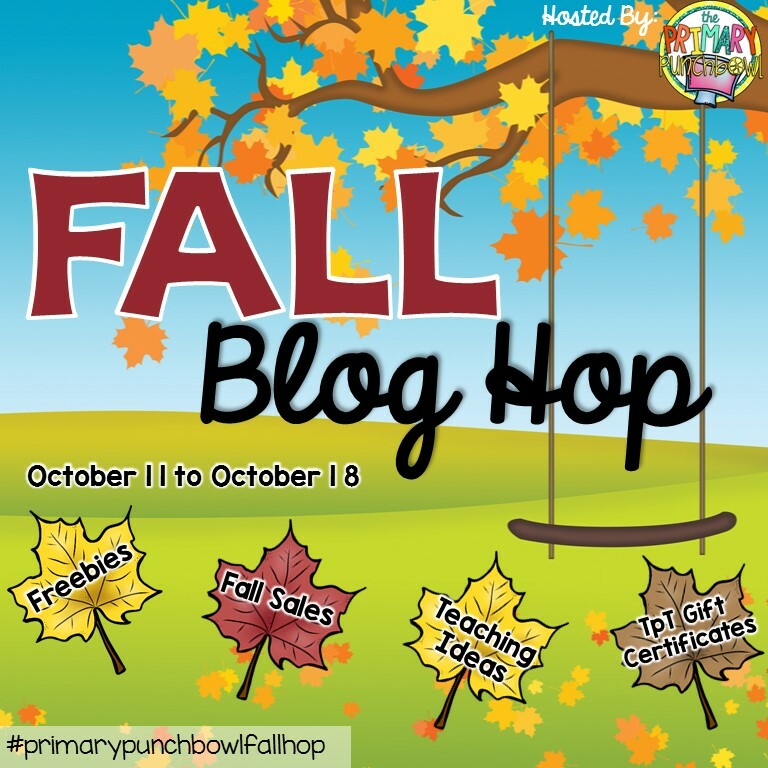 I am SO excited to welcome you all to the Primary Punchbowl Blog Hop!! Our collaborative blog has been in the works for months, and we couldn't wait any longer to share with you!! I think, globally, most teachers LOVE Fall. It's a fresh start to our year. The weather is changing and is beautiful. We have (hopefully) sunk into our routines and our students are feeling comfortable! 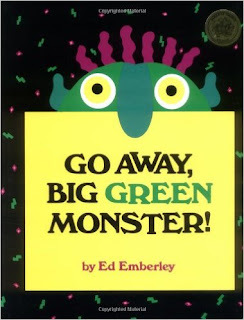 One of the books I LOVE to read is Go Away, Big Green Monster, by Ed Emberley. Many of my kids start to feel nervous when October begins, because some of our stories are a little spooky. I typically read this one first, because it is a silly way to defend themselves from their fears. :) When we are done reading, we do a craft that goes along with the story at centers. The first genre we assess in Kindergarten is Narrative, so I have my students retell the story as they create this one. The first is an emergent reader about the beginning of school. I make and use A LOT of these in my classroom... 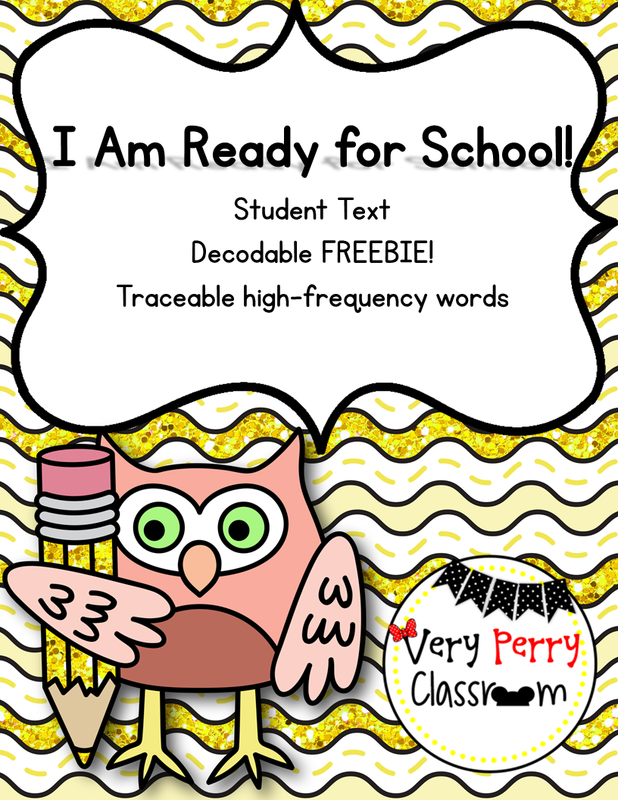 This is an easy, traceable freebie to establish norms and schedules. Something that I have found to be a HUGE factor in my students reading fluently is my creation of Pocket Chart Packs. October's is included in the sale! 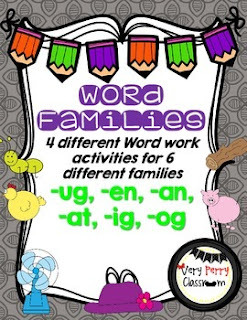 Finally, we are studying word families all year long! I have my newly created Word Families pack as a featured product this month as well! BUT WAIT! There's more!! You could win!! Enter my contest, and be sure to visit our blog to have a chance at winning a pair of Kendra Scott earrings or a teacher basket!! Please join the rest of the Punch Bunch for more fun!! Oh, friends! I LOVE to do "Currently" with Farley, and today is no different! I may just LOVE Halloween a bit more than the normal adult human. But, seriously, how CUTE is the graphic for this month's "Currently?!" Listening: We are taking a much-needed stay-cation very nearby with the family. LOVE. And one of my favorite movies is on TV. Double win. Loving: My class this year is awesome, but today they BLEW ME AWAY. For real. 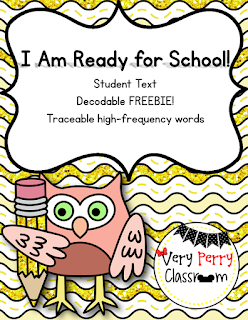 They read a pre-decodable book without front-loading and wrote independent sentences without guidance. And the sentences MADE SENSE. I can't even. Thinking: I LOVE Halloween. I don't love being scared, but I love the decor, the fun costumes, and, most of all, the CANDY! Needing: I need a new bed. My back has been killing me, and I want more space. I think this may be my next "big girl" purchase. Boo-tiful: We don't get a sense of East Coast, Southern, or Midwest fall, but I like to pretend! I love the coziness of long sleeves, fall projects in the classroom, and THE FOOD. I also think it is beautiful when teachers collaborate positively. I have some great colleagues who I collaborate with, and who come to me with creation ideas. 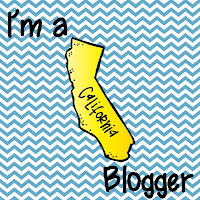 I am also a part of a collaborative blog that is launching this month, so stay tuned. I LOVE the positive attitudes that GOOD teachers bring to my life!!! 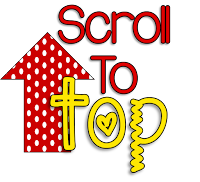 Please join us for the linkup! I can't wait to hear about your Current fun!